Looking for the latest social media statistics? Want to know which social media networks and apps are the most popular in 2018? Whether you’re building a presentation, a pitch, or you’re just plain curious, I’ve done my best to search the entire internet for all the juicy social media statistics you could possibly need. All in one place, always updated so that you know exactly where to go to find the latest and greatest. Based on the findings, I’ve also ranked each network according to the user base and usage data. Bonus: Grab the full infographic at the bottom of this post to share on your site! If you find anything in this article that is outdated or inaccurate and you can provide a credible source, please use the comments section to let me know! Now, without further ado, lets get into it! Facebook was founded by Mark Zuckerberg and launched in 2004. During creation, Facebook was only limited to Harvard students but was later available to everyone above 13 years old as long as you had a valid email address. And when it comes to social media statistics, Facebook tends to be the standard that all other networks are now compared to. There are over 300 million photos uploaded to Facebook every day. On average, 5 Facebook accounts are created every second. Approximately 30% of Facebook users are aged between 25 and 34 years. Facebook video is still in high demand with approximately 8 billion video views per day. Most of these stats I found while reading through Facebook’s quarterly reports. I’m also constantly keeping my eye on the Facebook Newsroom for any breaking news and statistics announcements. YouTube was created by Steve Chen, Chad Hurley and Jawed Karim (former PayPal employees) in 2005. It’s considered the 3rd most popular website worldwide. As far as social networks go, it’s ranked number two. Currently YouTube has more than 1.5 billion logged-in visits every month. Viewers are spending an average of 1 hour per day watching YouTube videos. On average, 300 hours of video are uploaded every minute on YouTube. There are over 5 billion video views each day. Daily active users on YouTube are over 30 million. An average visit on YouTube lasts for 40 minutes. Many of these stats came straight from either the YouTube Blog or their Press page. Instagram was created Mike Krieger and Kevin Systrom in 2010. It was mainly meant to enable sharing of pictures and videos, both publicly and privately. It had been since acquired by Facebook in 2012. Since its creation, more than 40 billion photos have been shared. Daily active instagram users total more than 500 million. On average, 95 million photos are uploaded on Instagram daily. Approximately 4.2 billion likes are given every day. Some of these statistics were found on the Instagram Press page while others were found through third-party demographic research. Bonus: Are you creating Instagram content? Make sure you grab my free Instagram Image Templates. WhatsApp is an instant messaging application for smartphones that comes with an end to end encryption. It was founded by Jan Koum and Brian Acton in 2009 and later bought by Facebook in 2014. While some may mistakenly leave it out of the social media statistics studies, it’s absolutely one of the social networking titans, IMO. WhatsApp is estimated to have approximately 700 million monthly active users. There are over one billion registered users. It is used in 109 countries. There are approximately 320 million daily active users on WhatsApp. On average, 1 million people register on WhatsApp daily. Approximately 42 billion texts are sent and 1.6 billion photos shared through WhatsApp daily. Since WhatsApp doesn’t divulge any statistical data publicly (that I could find), all of these stats were found through third-party research. Google plus is a social network owned by Google. It was launched in 2011 and was meant to be a social layer across all of Google’s products. The purpose and objective of the social network has changed a lot over the years, but it still remains a strong staple in the world of social networks (despite what many might believe). Google+ is estimated to have over 2 billion registered users world-wide. 28 % of Google plus users are aged between 15 and 34 years. United States alone constitutes 55% of all the users. 73.7% of the users are male while 26.3% are female. It is estimated that on average, a Google+ user will spend 3 minutes and 46 seconds per visit. Some of this info was gained through reading the official Google Blog (before they got rid of the Google+ blog) as well as many other third-party research and data studies. Unfortunately, it seems Google was in no way interested in the social media statistics game and has kept much of its data private. Twitter was founded by Jack Dorsey, Biz Stone and Evan Williams in March of 2006. It was an experiment that quickly became a messaging addiction for many. [Twitter is] what’s happening in the world and what people are talking about right now. The total registered users on twitter are estimated to be 1.3 billion. Nowadays Twitter has more than 330 million monthly active users. Of their monthly active users, 70 million are form the United States. I have dug through countless (and insanely boring) earnings reports to find these stats. Most recently the Twitter Q3 2017 Earnings Report was what informed most of the above data. Snapchat is a multimedia mobile application which was created by Bobby Murphy, Evan Spiegel and Reggie Brown in 2011. It started as a private messaging app that gave users the ability to create “snaps” or messages that would self-destruct (be automatically deleted) after being viewed. Unlike all the other social media apps and networks in which you had to manually delete posts you’ve shared. For many, this was empowering because they didn’t have to worry about sending something that they’d regret years down the road. For others, it just seemed like a breeding ground for sexting and “unscrupulous” behavior that people wanted to hide. When Snap, Inc. became a publicly traded company, it decided to evolve into calling itself a “camera company.” Very few people understand that decision. Snapchat has approximately 301 million monthly active users. Snapchat also reports 178 million daily active users. Of those daily active users, 77 million are from the United States. 60% of these snapchat users are aged between 18 and 34 years. Snapchat is competing closely with its rival, Facebook, by reporting more than 10 billion video views daily. Approximately 3 billion snaps are created every day. Snapchat users aged 25 years and above spent an average of 20 minutes on snapchat daily while those below 25 years spent on average 30 minutes. It’s estimated that it would take you more than 950 years to watch all snaps made in a day. Most of the data was found in the recent Snap, Inc. Q3 Report, which you’re welcome to read as well. I wouldn’t recommend it–unless you’re literally read everything else there is to be read on the internet first. Reddit is a discussion and web content rating website. It was founded by Alexis Ohanian and Steve Huffman from the University of Virginia in 2005. And while it isn’t receiving anywhere near as much press buzz, it is a thriving and vibrant community of people. Many of them total trolls, but hey, trolls are people too. It’s also been known to completely tank websites by sending enormous, and unsustainable amounts of web traffic when things hit the front page. So, be sure to use it for your own blog posts with caution. Reddit has approximately 274 million monthly active users. It also boasts a solid 330 million registered users. There have been more than 853,000 sub-reddits. It has more than 50,000 active communities. On average, there are 25 million votes on Reddit daily. Monthly Reddit page-views total to 8 billion. The average time length of reddit visit is 13 minutes. A lot of these statistics can be found if you search through their advertiser or press pages. LinkedIn is a professional networking service that was founded in 2002 but later launched in 2003. It is officially the oldest social network on this list. And although it is the oldest, it’s definitely struggled to grow its user base over the years. This is mostly due to the professional nature of the network. It started as a place to simply keep your resume updated and didn’t really turn into a full-on social network until Facebook was well into its prime. LinkedIn has over 546 million registered users of which 133 million are from USA. It is estimated that LinkedIn has approximately 200 million monthly active users. At least 2 new member’s register on LinkedIn each second which comes out to 5.26 million new accounts per month. There are over 20 million registered company pages on LinkedIn. Of all the users, 57% are male whereas 43% of the users are females. LinkedIn has always been a bit cryptic in releasing usage statistics, but a few of the above points can be found on their About page. Pinterest is a mobile application that enables you to find information on the World Wide Web. It was founded by Evan Sharp, Ben Silbermann and Paul Sciarra in 2010. It took some time for Pinterest to get on the social media marketing map, but it eventually showed itself to be a very powerful traffic driver. And although it took Peg Fitzpatrick a couple years to convince me of that fact, once I finally took her advice, I was a firm believer in the power of the platform. While it developed a strong reputation for being mostly used by women, men have begun flocking to the network, probably thanks to Jeff Sieh at Manly Pinterest Tips. 70 million of it’s active users are from the United States. The total number of Pinterest pins is more than 100 billion. Some of these stats were found on the official Pinterest Blog while others had to be sourced through third-party data studies. This is a micro-blogging and social networking website which was launched in 2007 by David Carp. You won’t typically see Tumblr included in social media statistics because many people may think of it as a “blogging” platform. However, I believe it absolutely fits into the realm of social networks and should be counted. It’s gone through a lot of evolutions, acquisitions, and changes, but it has stuck around for a long time. It’s also developed a unique culture of users. Tumblr has more than 158 billion published posts. There are approximately 396 million blogs. 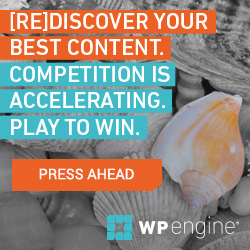 On average, 1.1 billion posts are published monthly. There are approximately 7.2 million new blogs created each month. Approximately 46% of Tumblr visitors are aged between 18 and 34 years. Of all the visitors, 52% are male and 48% female. Of all the listed sites, Tumblr seems to be the most transparent as this data was pretty easy to get. Periscope is a live video streaming app that was created by Joe Bernstein and Kayvon Beykpour and before even launching was bought by Twitter in 2015. It quickly dwarfed its predecessor, Meerkat, and became very popular among live-streaming apps. I even tried it for a while and came up with a handful of Periscope pro tips that you might want to check out. There are over 9.3 million live streams monthly on Periscope. Periscope has over 10 million registered users. Daily active users are approximated to be 1.9 million. The number of active users on Periscope using android is 1.2 million. There have been 200 million broadcasts on periscope to date. On average, 350,000 hours of videos are streamed every day. Twitter doesn’t reveal many of Periscope’s usage stats, but you can dig through their quarterly reports and get some interesting info. What’s that you say? You wish there were a giant infographic that you could share out to your social networks and embed on your own blogs? Well, didn’t I just think of everything when I created the following for you? Oh, and as an added bonus, I’ve created a set of Social Media Statistics Cards that you can download for free to use in your presentations, demonstrations, blog posts, or social media posts. 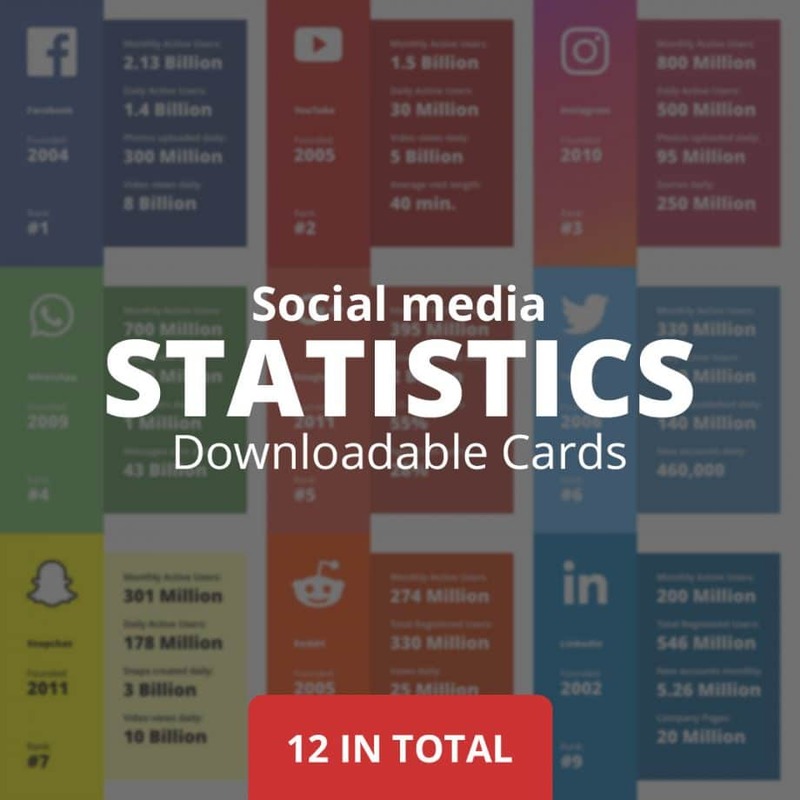 Download 12 stat cards for use with your presentations, social media posts, blog posts, or anything else you can think of. 100% free. It’s taken me a long time to track down these social media stats. I’ve spent countless hours trolling through quarterly earnings reports, advertizer informational documents, platform about pages, and every official documented record of stats I could. However, some networks (coughGoogle+cough) just don’t care to give any statistics out anymore. So I turned to other third-party data sources. If you find anything listed above to be a bit off, do let me know. It doesn’t really matter how many users any social network has. How many people are you able connect with in a relevant way? If there are 2.13 billion people using Facebook, but none of them have any interest in the stories you’re telling (or you can’t reach them)— there is zero value in that network. If there are 300 people using MySpace and every single one of them are interested in your story— it’s suddenly more valuable than Facebook. I’m just using these as extreme examples, and, of course, they’re not accurate. There’s no way Myspace has 300 users. ? The point is this— don’t get caught up in the “who has the most active users” game. It’s even more meaningless than your follower count. If there’s anything I’ve learned from working with a diverse set of clients, it’s this— target market trumps mass market. So when you’re considering putting time, energy and resources into your social media marketing don’t get caught up in the big numbers. Do your market research and know which networks your target market is actively engaging on. If you need help deciding where your time and effort is best spent on social media, you can always drop me a line. And also, if you have any interesting social media statistics you’d like to add, just throw them in the comments along with your source and I’ll take a look at adding them. The post Social Media Statistics 2018: What You Need to Know appeared first on Dustn.tv by Dustin W. Stout. If you are reading this on a website that is NOT dustn.tv, it is STOLEN.